Today My Writing Corner welcomes author Angela Hayes, author of the new fantasy novel, Love's Battle. Thanks for joining us, Angela. We’d like to know about your writing journey. What made you want to be a writer? All my life I’ve loved to read. Book were a wonderful vacation from life. I’ve always kept journals and wrote short stories and poems, but it wasn’t until much later when I was a stay at home mom that the idea of becoming a writer as a career became something I wanted to achieve. How did you get started on the road to publication? My road to publication began with the printing of a poem titled, Moving, in a local Maryland paper (where I lived at the time). I think I was in Kindergarten. 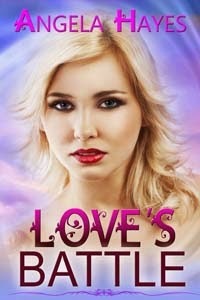 Your newest book, Love’s Battle, is in the fantasy genre. Why did you chose to write fantasy? I adore fantasy, letting your mind drift to the point where you’re not really sure where the reality ends and the fantasy begins. I think there is a part in all of us that wants to be above who and what we are and fantasy allows us to explore that. What gave you the idea for this story in particular? I don’t know that it was one particular idea that began Love’s Battle as much as it was a barrage of different things. But underneath it all, I think it was the concept of finding that one person you’re supposed to spend your whole life with and what kind of problems would be at hand once you did. Would you accept it without question, or would you fight it with everything you had? Love Howard is the youngest of three triplets (her sisters are Faith and Hope) who are magically conceived, thanks to a promise made by parents when they couldn’t be together due to a difference in ranks, and are gifted with the ability to see true love as well as reincarnation. Danton DeAngelo, Love’s “soul mate” of this life is such a down to earth fellow that he really tempers Love’s outgoing personality and in return, she fills an emptiness that he’s had in his life for so long. What do you like best about your characters? What a great question, what do I like best about Love. Aside from her great fashion sense and shoe collection, Love is just a warm and welcoming person. She’s seen so much in her ten previous lives that you would think she would be jaded, but she’s got such a bright core it never fails to shine on those around her. And I love that she excels at matching lovers. She takes such pride in bring to hearts together that she doesn’t let anything stand in her way. Love’s Battle is part of a trilogy. What are the next two books about? Tentatively titled, Faith’s Forever and Hope’s Wish, the True Blue trilogy will focus on Love’s sisters and how they each of them find their love of this life and the problems they go through trying to make a their connections. Are you working in any genre other than fantasy for the future? I have so many stories floating around in my head and not near enough in print, but I’m working on a new paranormal series and have several ideas for something in the mystery category. What would you tell beginning writers who want to write fantasy? I’m so glad you asked this question. When I was researching publishers, before I came across The Wild Rose Press, there was one publisher that said something along the lines of how when you write fantasy, you need to write it so that it is so deeply embedded in your story that if you were take the fantasy out of it, it would fall completely apart. The idea is that if you’ve written a fantasy and you can take the magic away from it, then it isn’t really fantasy after all. And this is what I try to do every time I sit down to write. They can find me at www.authorangelahayes.blogspot.com. Thank you for having me Rebecca, you asked some great questions, I had a blast. And thank you, Angela, for being my guest today. Here's a blurb for Love's Battle, available now at Amazon.com, and here is the buy link. It sounds like an intriguing story. Good luck with your new book, Angela, and the series. Any questions or comments for Angela? 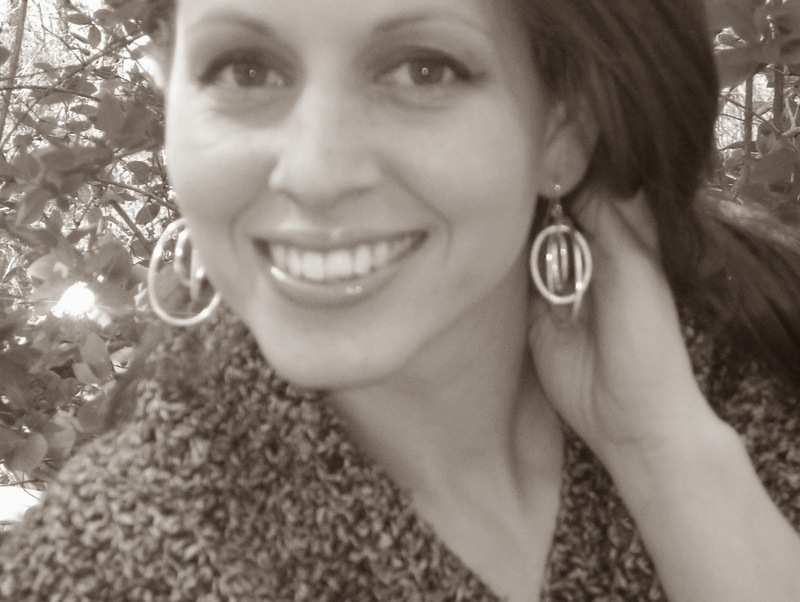 Visiting today in My Writing Corner is New York author, Dani-Lyn Alexander. She lives on Long Island with her husband, three kids and three dogs. She loves spending time with her family, at the beach, the playground or just about anywhere. In her spare time, which is rare, she enjoys reading and shopping--especially in books stores. Some of her favorite things include Bernese Mountain dogs, musicals, bubble baths and soft blankets. She is an incurable insomniac and has an addiction to chocolate. Her new book, Anonymous, is coming out this week. Dani, we’d like to know about your writing journey. How did you get started? My first book, Trust and Betrayal, and its sequel, Truth and Deceit, were published by Etopia Press. I also contracted several short stories with other small presses. Then I was fortunate enough to have an editor named Liz Ryan, at Still Moments Publishing, edit one of my stories. I can’t begin tell you how much I learned from her. She is kind, patient, and knowledgeable, a wonderful teacher. I will always be grateful for everything she taught me. Soon after working with Liz, I found my agent, Dawn Dowdle at Blue Ridge Literary Agency. She originally contracted a children’s fantasy book with me. When I sent her Anonymous, she really liked it and offered to represent it. Now she represents all of my work. When I was a kid, I thought I was destined to be a writer. Then I lost track of it for a while with getting married, having children, building a career… I’m very happy I found my way back to it. Tell us a little about your newest book, Anonymous. It's about online dating, a fascinating subject. How did you research it? Have you ever done any online dating? I never have. I have a few friends who tried online dating, two successfully, one not so much. I started thinking about what could happen. How could you ever be sure the person you were talking to was being honest? Where do normally get your story ideas? I love getting story ideas from my children. Kids have fantastic imaginations, and role playing games are a great way to see them in action. The monsters in one of my middle grade stories were named for the way my two-year-old said Lincoln Logs at the time I was writing it. Right now I’m working on another romantic suspense novella, as well as book two in a young adult fantasy series. Any other things you are working on for the future? I’d love to do a series of cozy mysteries. How about a blurb on Anonymous and when will it be available? Anonymous will release on April 17th. Thank you for being my guest today and good luck with your new book, Dani-Lyn. I know I will be checking out Anonymous. Comments or questions for Dani? 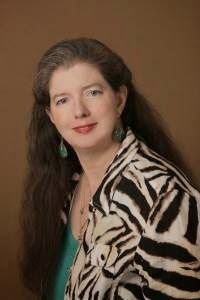 My guest today at My Writing Corner is romance author, Babette James. Tell us about your journey to becoming an author. How did you get started? I’ve always loved writing and making up stories, beginning back when I used to act out epic fantasy tales with my dolls. (My Barbies had swords and knew how to use them.) I remember carting home armloads of books from the library, loving all the different stories and worlds and I wanted to write the stories I imagined, too. I remember playing out complex tales with my dolls and studiously writing out pieces of stories in spiral-bound notebooks and on backs of school papers. I even have a degree in Literature, but it wasn’t until 2004 that I wrote my first full rough draft of romance novel and began gathering up my nerve to pursue publication. I fell in love with writing romance and have focused on that ever since. You write contemporary romance and fantasy romance. What do you like best about writing each of the different genres? I love romance for the happy ending and the twists and turns and traumas it takes to get there. I fully admit to being a sucker for "and they all lived happily ever after." I’m most comfortable writing fantasy and paranormal romance, and love the freedom of building fantasy worlds. I have to say my first sale being a contemporary romance came as a surprise. I originally was focused on writing fantasy and paranormal novels, but it was while writing Clear As Day that I found a love of writing contemporary romance and I’ve been inspired to continue in the genre by the group of friends and story world that has developed in this series. Writing contemporary romance lets me explore the twists and turns and traumas of everyday, modern life. I like writing characters you could actually meet and be friends with, and who have familiar faults, problems, and joys. What made you want to write fantasy? I love playing with dragons and swords! Lol My favorite author is J.R.R. Tolkien and I devoured fairy tales, fantasy, and science fiction when I was a child and even into college. It was a natural progression from making up fantasy stories with my dolls to writing fantasy novels. I have two fantasy series in the works and hope to someday see them published as well. 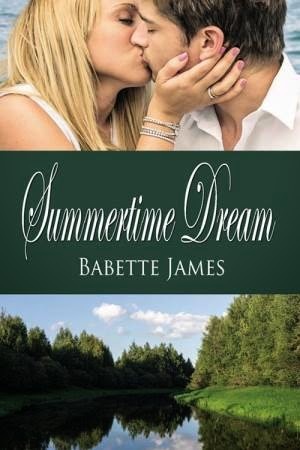 Your newest contemporary romance is Summertime Dream. How did you come up with the idea for this story? I was taking a little mental break from writing the next novel in this series, and was playing around with some scraps of scenes. I had in mind a very green, steamy hot July 4th day at a picnic ground in a town park. I’d been wanting to learn to write short and writing a short story around a Fourth of July picnic, something very sentimental and traditional, and completely separate from my River series sounded like a fun project. The viewpoint of my heroine was already in the first scene, frustrated with her family and yearning for change, yet loving her small town traditions. Then my hero walked into the scene and I discovered that he was in town because he’d unexpectedly inherited a house. Beyond that I hadn’t a clue who these two would be, not even names, but her yearning for change and his unexpected house were simmering in the back of my mind as I was pondering some back story information for the new River novel. How did you come up with the characters for this book? Christopher began as a college friend and part of Nate’s circle of camping friends in Clear As Day and had recently surprised his friends by marrying Margie and bringing her camping for the first time. I had enjoyed writing them, but they were happily in love, and I had intended they would remain minor characters throughout the series. Then I was playing with that Fourth of July scene and I made the mistake of asking my characters what happened next. Well, my characters had far more to tell than a short story. My sweet happy couple had shadows in their pasts and problems to resolve. Christopher’s solid and kind, and has a good sense of humor. He’s tough and dogged when he must be, and gentle enough to be the man Margie needs in her life. He believes in love, appreciates a smart woman and the quiet everyday pleasures in life. Margie’s sweet, optimistic, and energetic. I love how close she is with her family even when they are driving her crazy. She’s willing to give things a try and likes to believe things have a way of working out. This book is part of a series. What do you like about writing a series? I’ve had so much fun writing stories for the circle of friends in my River series. I love being in one story world and seeing it expand and become richer and my characters grow and change. It’s like visiting with family in your favorite neighborhood. You know everything so well, but there are always new things to see and learn. Since I’m a pantser, I do like being able to hop from story to story within its series. It’s rather like writing one enormous novel. Keeping track of everything is one big troublemaker. I have a series bible, but even that doesn’t stop continuity problems from slipping in. There’s always little details you still need to search for. For example, as I was working on book 3, I had to go back to Clear As Day to check if I’d ever shown one particular character dancing in any scene. Seems like not big deal, but could have caused a plot issue in the new story. Another is finding things down the road you wish you could change in an already published book. Ooops. Oh, well. You just have to find a workaround. Another pitfall with this series is the stories are being written out of chronological order to the whim of the muse. That’s been a bit of a headache. I’m working on a separate contemporary novella series and I’m making sure to work in chronological order and complete the series first. I’m working on multiple projects. I have my River series, I have the four book contemporary romance novella series set at some of my favorite New Jersey shore towns, and the fantasy romance series. The good news is that I’m nearly finished with my next novel in this series, Love Burns, so fingers crossed for that one to be submitted soon. This story takes off right from where Clear As Day ends. I love this couple’s chemistry, and while it’s been a challenge to complete, I’ve enjoyed seeing their story come to life as they work through their personal trials and find their own happily ever after together. Having them all in the works at once is handy for when I need a change of pace or a story needs a little time to simmer. Thank goodness for coffee! How about a blurb for Summertime Dream? Thank you, Babette, for being with me today and telling me about your new book. It sounds like a fun Spring read. Any comments or questions for Babette? This week I am going to change things up a bit. One of my journalist friends, who visits my blog and has been reading all about the various authors I’ve hosted, asked me why I didn’t do one on myself. I explained I have an “about me” section, but she said there should be more. And then she proceeded to ask me some of the same questions I’ve asked others. So this week, in honor of a “Free week” for my Dead Man's Rules in the Amazon Kindle store, I decided to answer those questions and I am letting her turn the tables and featuring ME in My Writing Corner. Tell me a little of your writing journey. How did you get started? I actually got started twice, and it’s one of the reasons I tell writers they should not give up and should stick with their writing journey once they set out on that path. In the early 80s I wrote several romance novels, attended the RWA conference a couple of times and pitched my books. I even sent one in to several places. I was so devastated by the rejections that I quit submitting. I never stopped writing, though, and it took years before I ever had the nerve to submit again. When I look back now I see how ignorant I was about the writing process and why I was more successful the second time around. I went back and re-read those rejections (yes, I kept them) and noted what the editors said. For instance POV? I had no idea what that was. Several writing classes later I was able to distinguish Point of View and stop head hopping. I also realized that they hadn't complained about the story so much as the lack of polish on my writing skills. The next time around, I polished my work and this time I did eventually get published. I don’t know if I always wanted to be a writer as such, but I always liked making up stories. I can remember concocting fanciful tales of kidnapping and treasure searches even when I was ten years old. I would share them with my friends as we walked back and forth to school. In high school and college I always had a folder filled with paper that I carried around with me so I could write stories. Originally I started out writing romance. I always enjoyed reading Harlequin romances and devoured them when I was young. I wrote several that were published, but I have also always been a big fan of mystery and suspense stories. It only seemed natural to combine the two. I was a big fan of Phyllis Whitney and her combination of romance and suspense. I loved her touch of gothic in her stories and the way she would weave a romance into the mystery. That was what I wanted to do, so I began trying my hand at mystery mixed with romance. 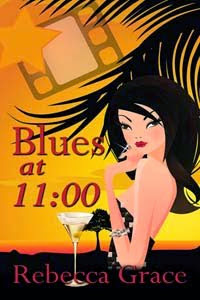 I still write some romance, but I found I have also really gotten involved in writing straight mystery stories as well. The Dead Man story goes way back and was one of the first books I ever wrote and finished. It was one of those stories I wrote in pencil on my notepaper. It may still be around somewhere but that story only laid the groundwork for my current work. It was the original story of Marco Gonzales, the dead man, who he was and who he became. The basis for this is an actual hand print on a wall in an old company mining store that used to get a lot of attention in the town where I attended junior college. I don’t even know if the handprint was bloody. I sort of made that up on my own because it fascinated me and my friends. We made a late night trip out to see it and we all wondered what had happened to the man who made it. From there my story was born and Marco Gonzales, became the man who left the handprint. And what happened to Marco? Well, I let Cere, my heroine, try to track it down. Was he a hero or a saint? Was he killed or did he commit suicide? Was there a woman involved? And does he haunt the place where he died? Lots of fun questions there! Speaking of characters, where do you come up with them? Do they come first or does the plot? My characters just seem to sprout in my head in actual scenes. Usually my story ideas come first and then I start to come up with the characters that might fit in with that story. Recently at Left Coast Crime I heard mystery writer Simon Wood give a good explanation of how to create a character for a story – he said if you’re doing a story about a theft in a razor blade factory, make the main character a hemophiliac. That makes perfect sense. I try to give my characters the biggest problems possible and make things look like they will never succeed. And then again, sometimes I just dump everything on them and let them squirm around and try to get out. What do you like best about your hero in Dead Man's Rules? Rafe Tafoya is a very complex man, but what I like best about him is his loyalty – to his child, his family and those he cares about. But I also wanted to raise the question about how far he might take that loyalty, so I like the idea of making him a little mysterious too. What I enjoyed about creating Cere Medina was making up the sort of daring person I wish I could be. Her competitors think she might go too far in trying to get a story and I’ve always admired perseverance in the reporters I’ve known, but I also have seen the integrity they display in setting certain journalistic boundaries. I wanted Cere to be ready to toe that line in pursuit of a good story, until the story becomes personal. I am working on the second part of Dead Man, which features Cere’s free-spirited cousin Freeda. It's called Dead Man's Treasure. Now there is a character for you. She isn’t quite sure what she wants to do with her life, and is willing to drift along having adventures as she searches for her father, until she meets up with a certain hard-nosed but determined attorney. But then her father wants to take her on a treasure hunt, and, of course, the specter of Marco hovers over everything. 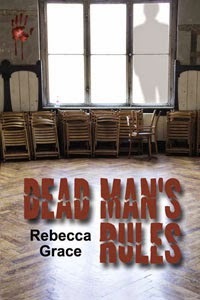 Dead Man’s Rules is free this week at Amazon. I hope you will download it and begin reading Marco’s story. My thanks to my friend, Janet for the interview, and I hope you'll leave a comment. Are there stories or characters who just won't let you go until you write their stories? What do you like best about the stories you love?